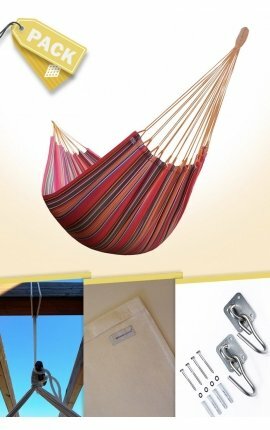 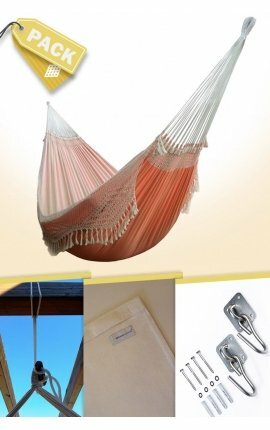 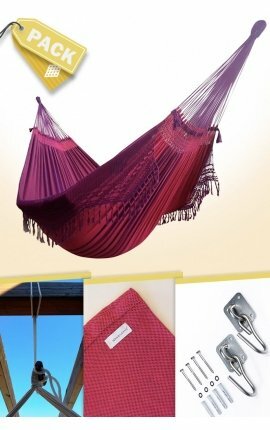 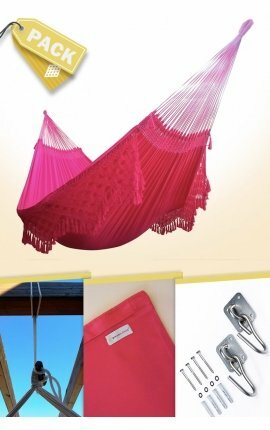 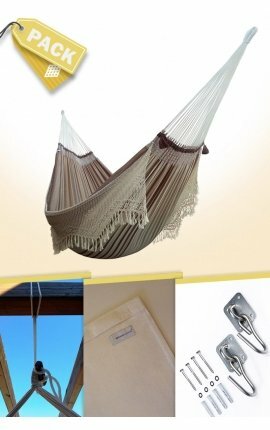 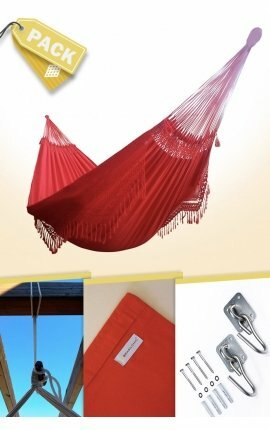 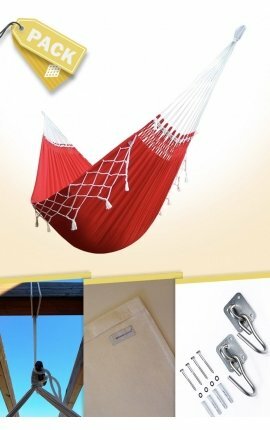 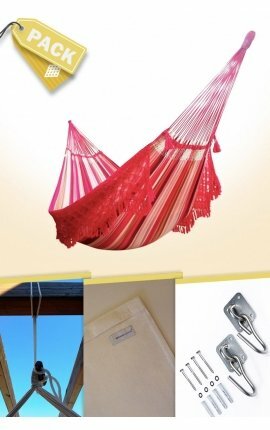 Hang your hammock easily and cheaply! 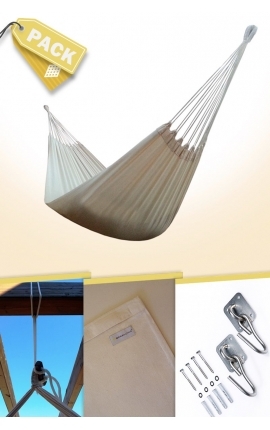 This low-cost Pack includes everything you need to hang your hammock and its best accessories. 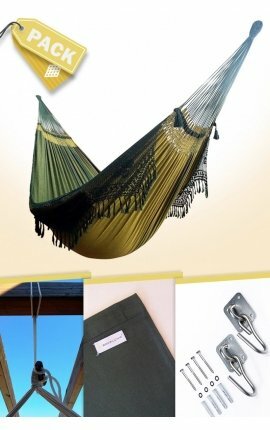 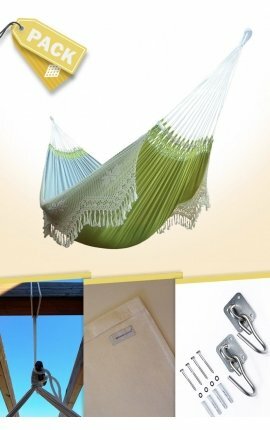 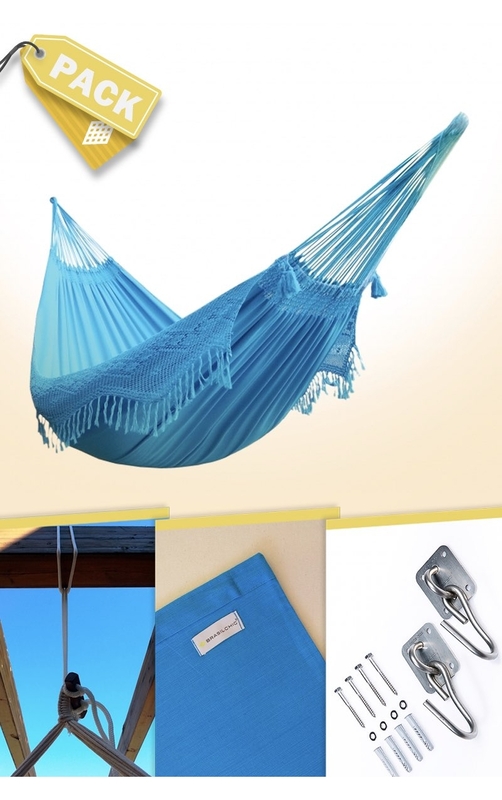 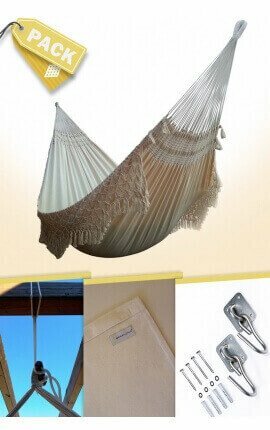 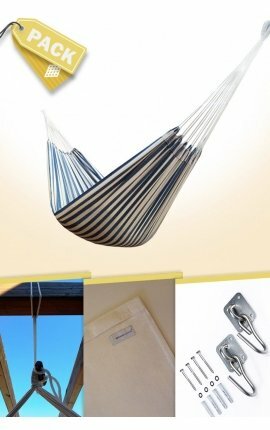 Two-person Turquoise Brazilian Hammock + Beige Cushion + Hook Attachments + Pack of Ropes.